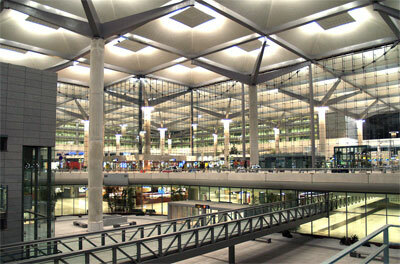 The launch of Malaga airport terminal 3 has not gone unnoticed by the airline companies. The importance of this province, main tourist entrance to Andalusia and fourth largest airport in Spain, has drawn a lot more attention. From the almighty low cost firm Ryanair to the Turkish company Turkish Airlines, among others. During the winter season 2009-2010, before the opening of the T3, 70 airline companies operated in Malaga, flying to 128 destinations. 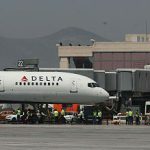 A year and a half later, in the current season, there are 85 airlines and 145 destinations, according to the figures provided to this journal by the Spanish Airports and Air Navigation Association (Aena). 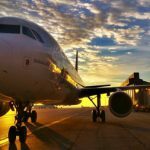 Malaga will be connected this winter with 24 UK airports – It’s the main destinations and the one that moves more travellers each year, both going out and coming in –, as well as 25 Spanish airports and 15 German, among others. 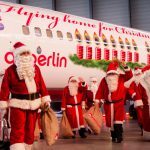 As a novelty, there will also be flights to Oslo (Norway), Kuusamo (Finland), Leipzig (Germany), O Porto (Portugal), Lille (France), Farnborough (UK) or Valladolid (Spain), as well as other already traditional destinations such as Moscow, Casablanca, Montreal, Stockholm, Rome or Copenhagen, among others. The companies German Sky Airlines and Helitt Airlines will be launched in Malaga this winter –this last one is based in Costa del Sol’s capital and started operating last week with a flight between Malaga and Melilla-, while there are other companies that have already been present at Malaga airport this past Summer but will be flying for the first time this winter from Malaga. These are: Cityflyer Express (flying to Glasgow, Manchester and London City in the UK), Bristol Flying Centre (flying to Bristol, London-Biggin Hill, Cardiff and Jersey, also in the British market), Alba Star, flying to Malpensa airport in Milan, and Turkish Airlines that will be flying directly to Istanbul. During the first ten months of the year, 95.398 flights have operated at Malaga airport, which has meant an increment of 2.9% compared to the same period last year, thanks to the increase of companies and destinations. 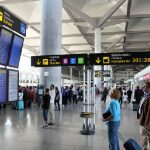 The number of travellers has grown accordingly and, according to Aena figures, between January and October 11.5 million passengers passed through Malaga airport, which represented an increase of 7.5% compared to the first ten months of 2010. In any case, we must bear in mind that the tourism sector is one of the least affected by the crisis and that the Costa del Sol, a traditional destination for the Brits and Germans, is recovering tourists, so car hire companies, travel agencies, taxis and other local businesses also benefit from the new trend. “We are satisfied with the way things are going but we cannot relax and there is definitely no time for complacency”, emphasised Salvador Merino, Malaga airport’s manager, who pointed out that “for the winter season we hope to continue working with the same excitement, eagerness and dedication to favour and help the initiatives of those companies that believe in Malaga, to continue improving and adjusting the airport’s operations until we make it hard not to choose us”. Aena are satisfied with the results of the new terminal although, obviously, they are aware that we live in a global world with many actors. Merino explained: “We trust that the airline sector’s recovery trend will consolidate in 2012. The trend evokes this state of mind as the figures reflect the consolidation of the air transport’s increase, benefitted by the improvements in efficiency and competitivity introduced with the amendments taken place in both, the air navigation area as well as the airport’s management”. The manager of the airport stated that the past month of October, Aena attended an important event in Berlin –The Routes Development Forum– in which the representatives of the main airports and airline companies worldwide gather together and introduce new ideas for the Spanish airports. Nevertheless, Merino pointed out “we must bear in mind that the decision is in the hands of the airline companies and that we are going through an economic crisis. The airlines fly to the destinations where the clients want to fly to, wherever there’s a market. And our obligation is to make that happen”. For now, it seems like these companies believe in Malaga.